This week on the podcast, the topic of Avatar came out, and not the one that brought us the Last Airbender. Ryan, it seems, was quite enthusiastic to defend James Cameron and the movie Avatar. But really, do we need four sequels to this movie? Furthermore, how do we measure success for a film like this? To start, I think James Cameron is a very talented visual storyteller. The man can create very compelling visual images, and he can put together a strong action sequence. The problem, for me, is beyond the great visuals, I’m not sure there is much to his movies. Movies are a visual medium, and visuals are important to successful moviemaking, but the rest of the story is also a vital factor for a film. Here’s where it gets tricky. Now, I haven’t seen Avatar. Maybe if I had caught it when it came out, but there were a variety of circumstances that kept me from seeing it. At the time, there seemed to be a lot of interest in the general public over those Na’vi things. Quite frankly, the Na’vi weren’t that impressive to me to look at, so my interest was lower. You know what seemed to disappear within six months of that movie coming out? Na’vi interest as near as I can make out. So, while I do not deny that Cameron (probably) made a visually stunning movie, I am not sure the world and the characters he created–especially the characters he created–have really captured the long-term imagination of the public. I could be very wrong about such things. It wouldn’t be the first time. And a good part of the argument seems to be James Cameron can sell a ton of movie tickets and has been at the very least financially successful as a director. We could talk about whether or not ticket sales are the same as quality, but I always make the same joke when that comes up. I think part of the problem may be Avatar is in many ways a very topical movie, wherein Cameron has his say about the Iraq War. Toss in a little environmentalism, maybe borrow the major plot points from Dances with Wolves, and maybe after playing some MMORPG you have Avatar. But staying power may be lacking. Plenty of sci-fi characters have popped up, some of which even had Cameron’s guiding touch involved. You know, various terminators and aliens and things. Not all of them are highly memorable for one reason or another, and it can have little to do with how good the source material was. I’m at a point where I’d argue that the closest analogue to Avatar is another movie that came out, sold a ton of tickets, but seemed to have little long term affection from the general public. The special effects were neat, there were aliens, and much of it seemed unoriginal. Also, for some reason, getting a sequel. I remember watching that movie and thinking every shot of it came from another, better movie. Now, director Roland Emmerich has proven that, if anything, he can destroy national monuments very well. Did his (nameless) aliens really grab people? Well…no. And I say that as someone who liked that movie for what it was: a dumb popcorn flick, but not necessarily one that demands a lot of second viewings. Grabbing people is hard. A good storyteller (heck, even bad storytellers) wants to grab the attention of the audience, and not just while the movie’s playing. The true measure of Avatar‘s success, in my mind, is how well that world stays with people. Not just the ones going, “Aw, cool! 3D stuff is happening!”, but the ones who just can’t get that world and its characters and implications out of their minds. Financial success can be fleeting. Only time will tell which movies of Cameron’s, and I am sure some will, will still be viewed and enjoyed by fans long after his death. So, here’s a few questions: does anyone care about the characters in Avatar? Or were they just excuses to show awesome visuals? How well did the different actors do? Factors like these will determine whether or not Avatar is a true classic or just some financially successful fluke. Personally, I’m not sure Avatar really has much of its own fandom. 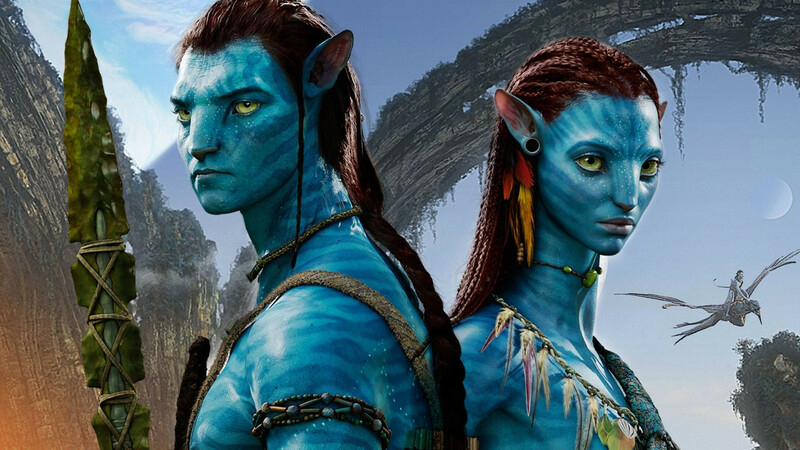 Even if the next movie does sell a ton of tickets, will the Na’vi disappear as quickly as they did the first time? I don’t know. I just know that nothing about Avatar intrigued me enough to see it the first time, so I won’t be going for another. I’m sure Ryan will go. But Ryan likes Krull.